Deciding whether to buy or rent depends on several factors. Here's how the math plays out for some of the nation's biggest cities, according to Zillow. 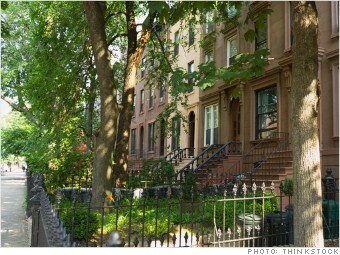 Ever dream of owning your own Brooklyn brownstone or Manhattan pied-a-terre? Keep dreaming. New York is one of the most expensive markets to buy a home in with a median home price of around $450,000. Even with the highest rents in the nation, it still takes more than a decade of ownership before buying a place in one of the city's five boroughs makes more financial sense than renting. Outside the city limits, prices get a little more reasonable. The breakeven time for the entire metro area is just over five years. The best places to buy, however, are far removed from Manhattan in the distant suburbs of New Jersey. In Lake Como, N.J. , for example, the breakeven time is just 1.8 years.